Do we struggle, or snuggle for existence? 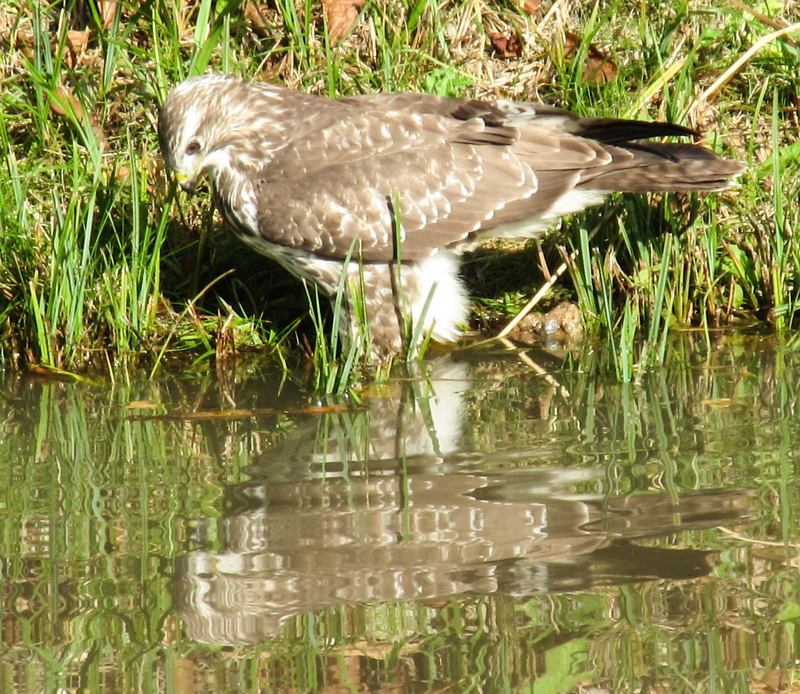 This is a question that Martin Nowak, Harvard’s Professor of Mathematical Biology addresses in his book SuperCooperators, and it is also played out in H is for Hawk, the Cambridge writer Helen Macdonald’s beautiful account of her relationship with a goshawk. Macdonald had developed an interest in falconry as a child, and by the time of the book she was an experienced falconer. Her father had recently died, and she found herself taking refuge in the idea of training her own goshawk. These birds are not for the fainthearted, not least because the females can measure two feet or more from head to tail, and have a four-foot wingspan. With their piercing orange eyes and powerful reptilian feet, they have a reputation of being difficult to tame. Helen was warned about the challenge she was taking on with a goshawk, but she was ‘obsessed’. The bird she eventually bought was a ten-week old female – small for its age, but still huge compared to the sleek falcons she had trained in the past. Full-grown goshawks have inch-long talons and incredibly powerful feet, perfectly adapted for gripping other birds and small mammals and tearing them to pieces. Helen found herself curiously fascinated by this murderous behaviour, though at the same time recoiling from it. Here was nature at its very reddest in tooth and claw. Helen Macdonald is a true observer: eyes wide in wonder as she discovers what Mabel is capable of. She approaches her subject with an open mind, and as a result notices more than any of the other falconers she had been reading. 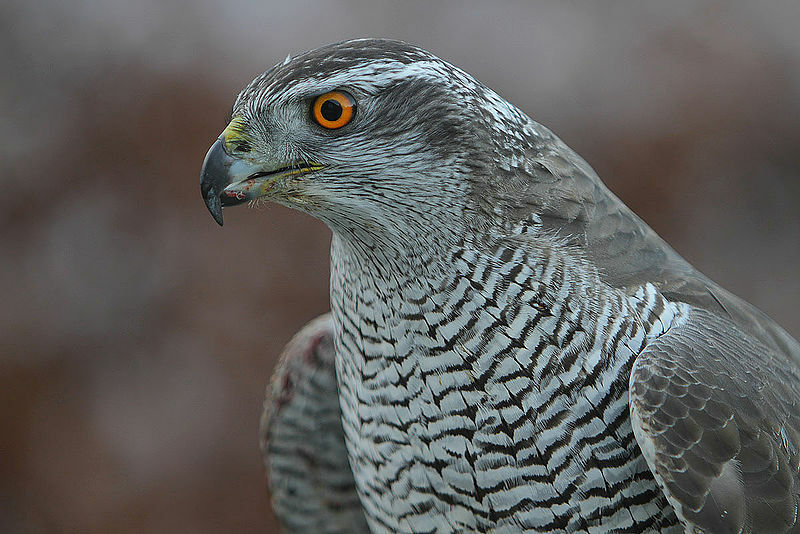 Goshawks are powerful animals, built to kill and dismember other animals, but they can also be gentle and playful. Whenever I speak or write about beauty in nature, I am often confronted by questions about suffering. How can I be so enthusiastic about pretty things when there is so much pain in the world? How can a grieving woman like Macdonald take such pleasure in owning “a thing of violent death”? The existence of suffering is often given as proof that there is no God. If someone cared, they would have put a stop to cancer and mindless killing by now. So the existence of any pain or death at all somehow rules out God. But what about the other side of the story – the beautiful, tender, playful side of nature? What is that proof of? C.S. Lewis turned to God because fiction helped him to see goodness in the world. Does anyone ever do the same because they see gentleness and fun in the living world? I’ve heard of people being helped along the way by examples of great intricacy or fine-tuning, but not kindness or intelligent behaviour. Why not? Can the existence of things we appreciate or enjoy not lead us to wonder if someone out there is taking care of us? I’d be interested to find out if this really is a gap in our current thinking, or if there are people for whom this has been an important part of their own journey. Reblogged this on Relevent Apologetics.